Hey everybody! Time for more Dollfie related goodness! 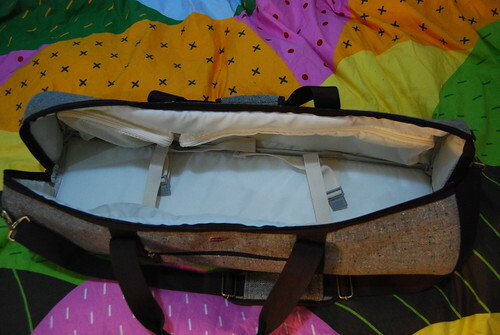 Today we’re going to take a look at Volks’ SD Carrying Case! 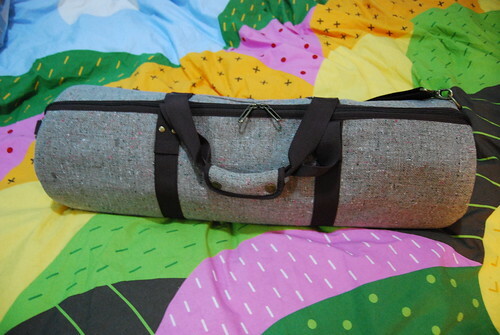 This bag comes in a lattice black and this lovely tweed which I’ll be reviewing (a link to the tweed bag is at the end). This bag was available on Volks International a little while back, I picked up mine aftermarket from Dollfie World and I’m very pleased with the quality and design. As you can see this bag is pretty big! In fact, it’s roomy enough to easily fit TWO Dollfie Dreams! According to Volks’ site the open pockets are large enough to fit long wigs! 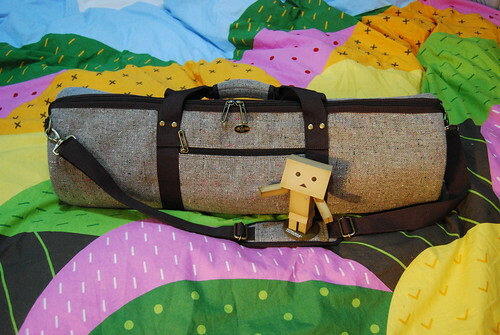 With only one doll in the bag I can see this being a bit more logistically feasible. There is also a large zipper pocket that does not use mesh, my guess is this would be good for some extra clothes. The double zipper was well thought out on this bag as well as it comes all the way down the sides to allow for this bag to be opened quite wide. 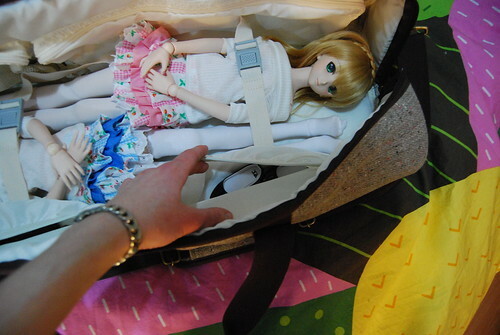 I recommend being very careful when zipping and unzipping so that your dollfie’s wig does not get caught by accident. Even the bottom of this bag was well thought out! 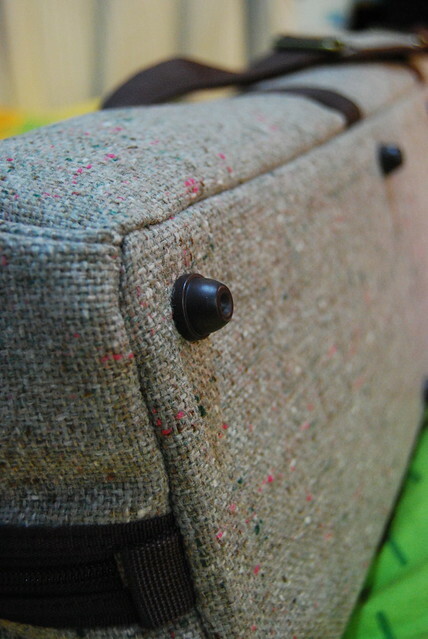 Volks evenly spread out the little feet on the bottom to help keep the weight balanced properly without getting that beautiful tweed dirty on the ground. One thing I didn’t notice when I first bought the bag was how the should strap adjusts. There are actually TWO adjustable sections on this part of the bag to allow you to keep your shoulder pad in the proper place and keep the bag nicely level. I wish that more bags did this! 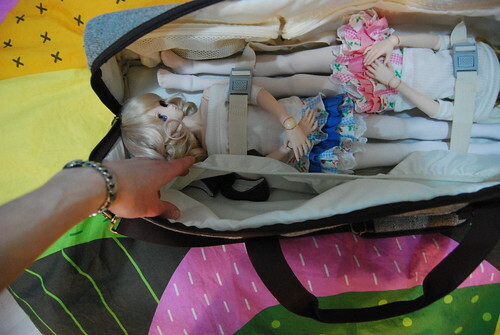 Personally I do find it a bit easier carrying this bag by the handle, just because I had two dollfies end to end and I didn’t want either of them to move around on me. 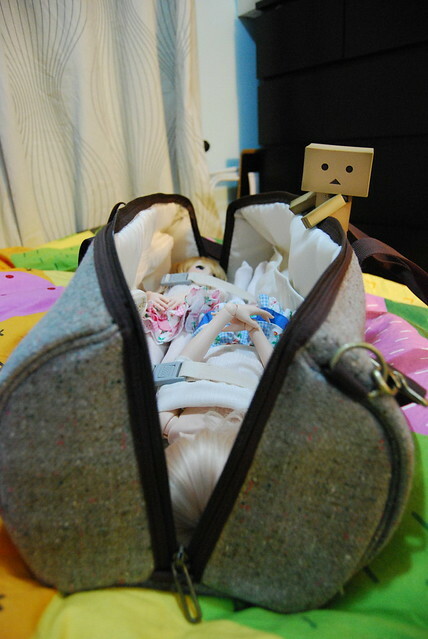 I am very happy with this bag and I’d recommend it to anyone looking for a good way to transport their Dollfie Dreams! 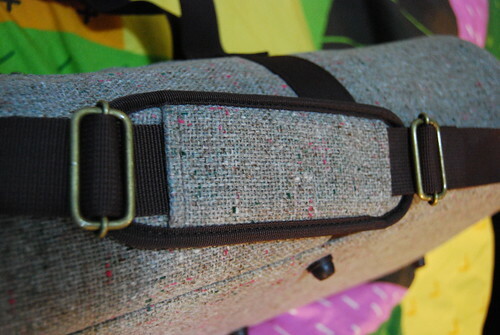 However, as you may have noticed the tweed bag has a lot of pink in it! This gives the bag a more feminine feel so I think this may appeal more to women where the regular black lattice version is more plain and unassuming. 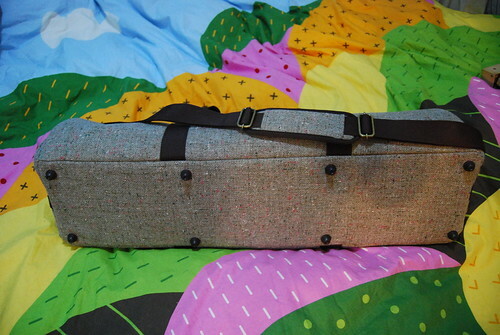 For those of you smitten with this tweed bag you will be able to order it from Volks USA for $55 USD starting from April 23rd, 2011 at 11am PST! I’m planning on picking up a second if I can, what about the rest of you? A special thanks to my lovely models! Nice review, you call it more feminine, I’ll call it earthy 🙂 I picked mine up for Volks International’s site before I heard they were going to carry it in the US. I wish I knew ahead of time, that was some expensive shipping. 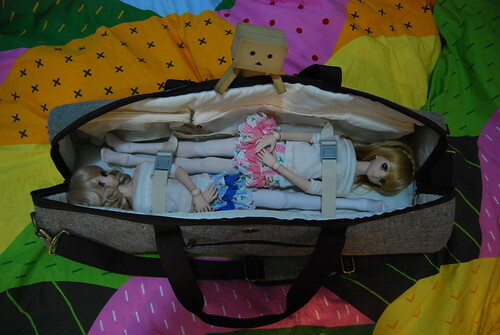 It’s a nice bag for the Dollfies. Yeah. 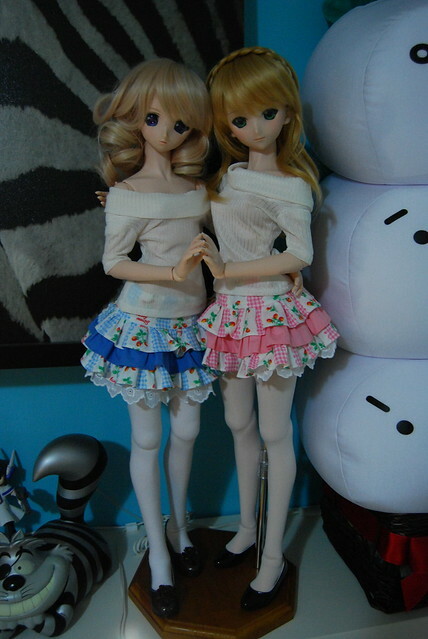 I got it from the Volks website and it’s pretty good considering we don’t get any Dollfie items here. 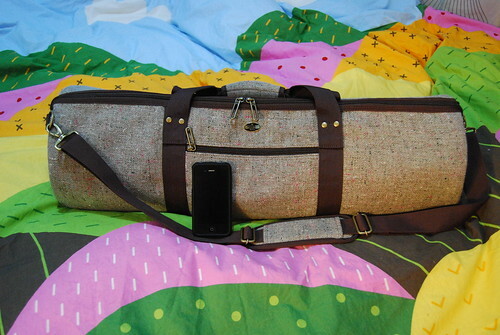 No regrets on the Volks bag.